Few projects can have as big of an impact on your company as a successful Customer Relationship Management (CRM) implementation. Turning your employees into “customer experts” takes real effort but yields tremendous returns as your teams learn to create loyal advocates from your everyday customers. And as you might suspect, planning a CRM project takes a combination of skills that go beyond most other IT projects. Not only does a project manager leading a CRM implementation need to be a strong taskmaster, motivational coach and business process expert, but this rare bird needs to also know how to corral strong-willed business executives and get them to make decisions. This is a tall order because CRM projects are truly unique amongst all other IT projects. They are all about revenue and customer satisfaction, the lifeblood of a company. There is nothing like the system that tracks revenue to bring out strong opinions from the CEO down through the executive ranks. And for the person whose job it is to actually select and deploy a new CRM solution, that can be a nerve-wracking challenge. To help navigate this minefield, here are our top recommendations for charting your way to CRM success. Every CRM project will ultimately map back to two business goals: increase revenue and decrease costs. The specifics will vary from company to company, but don’t ever lose track of how your project impacts the bottom line. Maybe your CRM project is simply about increasing usage by unhappy customers. Maybe the objective is to increase the average revenue per salesperson or case load per support rep so that you can scale the business without scaling costs. Maybe the goal is to increase customer satisfaction and reduce customer churn. Whatever the challenge for your business, it ultimately hits the bottom line through income and expenses. A truly successful CRM project is one where the success is measured and shown how it impacts those business goals. Whichever measures of success were originally put in front of the CRM project team, coming back at least every six months and showing results is critical to maintaining funding for your CRM project. Make sure you clearly define your goals, keep a laser focus on those goals, track progress, and then, if appropriate, adjust goals for the next phase. First and foremost, any CRM project is a study in change management. Swapping out CRM systems is not that hard these days. Getting people to use a different CRM system is the hard part. People are creatures of habit and inherently leery of change. A CRM project manager’s job is more than just collecting requirements and selecting new software. A successful CRM project requires careful thought and planning on how to motivate a workforce to happily use a different mission critical system to get their job done. Convincing your users that there are enormous benefits in a new CRM system usually takes more than a t-shirt and an email. We are all busy people with a day job, and changing CRM systems can seem like a hassle at first glance. It’s important that the senior executive of the business unit rolling out the new CRM actively sponsors and promotes the project. Simply put, people need to know it’s important to the business. They need to hear it from the top. That means the best sponsor for any CRM project is the CEO or Managing Director. With the leader of the company extolling the virtues of the new system, every employee will sit up and pay attention. The best software projects are those that quickly deliver value to the business…and keep delivering more and more value over time. That means CRM steering committees should absolutely have a vision for an ideal CRM system. But, that vision should be ready to morph and meld to the ever-changing needs of the business. CRM project managers should plan on getting to the ideal solution step by step, moving quickly through each phase of the project. Plan on going live with the first user group within 90 to 120 days of selecting the new CRM system and then add more users and more use cases every 30 to 60 days after that. This kind of rapid pace requires tight project management and a laser focus on what matters for both end users and business leaders. It may seem fast, but it’s absolutely doable with a modern CRM solution. And starting quickly with one user group to gain first-hand experience with the new system gives project teams the insights they need to deliver amazing results. It’s an oldie, but a goodie. Every company has a Bob. Bob is a CRM power user with a keen focus on ease-of-use and accuracy. He looks for the best systems and streamlined processes and keeps the CRM operations team on their toes as a result. Some might consider him demanding, but management knows that Bob’s focus on the details keeps the business running well and customers happy. Seasoned CRM project managers know to involve the Bobs of the world early. Bob’s insights on detailed requirements will tee the project up for success in user acceptance testing (UAT). Bob may seem like a detractor at times, but he can also be the biggest proponent of a well-run CRM implementation. The best move is to make Bob part of the team and embrace his energy. 6. Carrot or stick? Both? Sell the solution and the users will follow. The key to getting people to willingly work differently is to explain the value of why they should adopt the new CRM system. But how to sell it? Is the message to the troops one based on productivity gains and time savings? Ease of use? Access to new customer information? Or is the focus on management policies around the system? Commissions, forecasts and executive oversight will definitely get the attention of your people. For instance, you may convince recalcitrant sellers to use the new CRM by putting a policy in place that they will only get paid on deals in the CRM system. Or weekly forecast reviews will happen in the CRM system so data had better be up to date. Or customer response SLAs are managed with alerts and reports in the CRM system, and nobody wants their boss cc’ed on a “nasty-gram” from the CRM system. The answer in the end is very much one that reflects the culture of your company. We find that every company leverages a mixture of carrots and sticks. But like in any sales situation, the most powerful story is one based upon the excitement of new possibilities rather than the fear of consequences. At SugarCRM, we find the most appealing adoption message to our new users is around how their modern CRM solution is as easy to use as Facebook or LinkedIn, makes their job quicker to get done and helps get answers in the hands of customers more reliably. One of the most wonderful aspects of a modern CRM is how flexible the tools have become. Mapping your unique business processes into your new CRM is as simple as configuring a few screens. Adding fields to track all of the data necessary for your business is just a matter of click, click, click. But have you ever tried to use an app with 200 fields where half of them are required? Sometimes the über flexibility in today’s CRM systems is actually creating unnecessary distraction from the most vital, daily tasks. CRM business analysts have to walk a fine line between mapping out every field and every process that management might want in place against the practical reality of deploying a system that people will actually use. 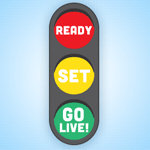 This phase of a CRM project inevitably becomes the most common Achilles’ heel of going live. To the uninitiated, gathering and tracking user requirements is the primary focus of a CRM project. And inevitably the task of migrating your customer data from your old CRM system to your new CRM is a later-stage activity that your team says they will address when they get there. And what happens is that data migration becomes the last major effort before your go-live. Hidden fields used just for reporting aren’t identified early in the plan and aren’t migrated over. Nobody knows what to do with old fields that are no longer used. Or are the fields actually just used for reporting? Old dropdown values that aren’t used any longer are still in the database and nobody knows if they should be migrated or not. The purpose of a field changes over time and the older values don’t make sense in the new system. Data volumes are unexpectedly large and simply take a long time to download and upload. Sometimes many hours or even days in the case of really large datasets are needed to iterate through test migrations. Do you want to migrate emails, tasks and notes for employees who haven’t been with the company for years? You likely have a lot of old data that doesn’t have any practical value to the business. Does that go into the new system or get left behind? Some data may be stored incorrectly in the old database and won’t pass the import validation rules in the new CRM system. The advice here is simple. Add at least one more week to your schedule to do a detailed review of your existing data. Also, plan for at least three trial migrations to the new system before you do your production cut-over. This stage is definitely one where a little extra planning can go a long way to keeping you on track for your go-live. Your CRM system is a reflection of your business. Its purpose is to automate how you interact with prospects and customers. As your business changes, your CRM system needs to also change. Planning for change is planning for success. In addition to business requirements changing over time, you will find that your company’s use and understanding of CRM technology will mature as your organization matures. All new organizations start in what we call the “Ad Hoc Phase” where the only way things get done is by smart people working hard with few well-defined processes. Note that it often takes about two years for an organization to mature from the Ad Hoc Phase to the Measurable Phase. And the challenge is that when leadership changes, often the organization falls back to a bunch of heroes being called upon to make magic happen. Where you want to be is in the “Optimized Phase.” This is when your CRM processes and systems are lightweight and flexible such that you can rapidly change how you engage with your customers when the market changes around you. New product line? No problem. New territories? No problem. New competition? No problem! When you have reached the Optimized state, your CRM system becomes your “headlights” for the business. Trends are spotted. Processes are modified. Decisions are made quickly. What’s the one constant through all of this though? Change. Even when you get to the most mature stage of your CRM deployment, you are constantly changing your modern CRM system. CRM success is not a destination. It is a journey. It takes continuous investment by the business to be able to quickly change with the market conditions around you. And as a CRM project manager, if you can show how the investments in your modern CRM solution are paying off, you will get the funding you need to continue delivering success for the business. These nine steps to a successful go-live are the result of hundreds of man-years of lessons learned across thousands of CRM projects here at SugarCRM. We hope you find this guide helpful in navigating the minefields and we wish you all the success in the world on your CRM journey.